Depicted on the quilt is a shell model of the electron rings with 2, 8, 18, 32, 10 and 2 electrons represented by beads. The silhouette under the organza rings is a map of Denmark, with Copenhagen marked by a red star. 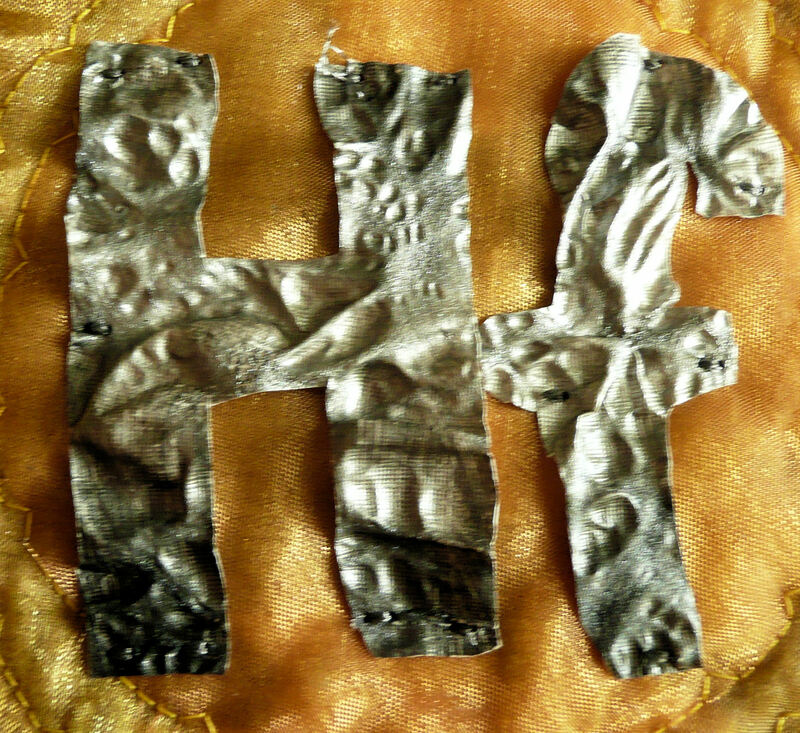 The gray Hf represents what the metal looks like. 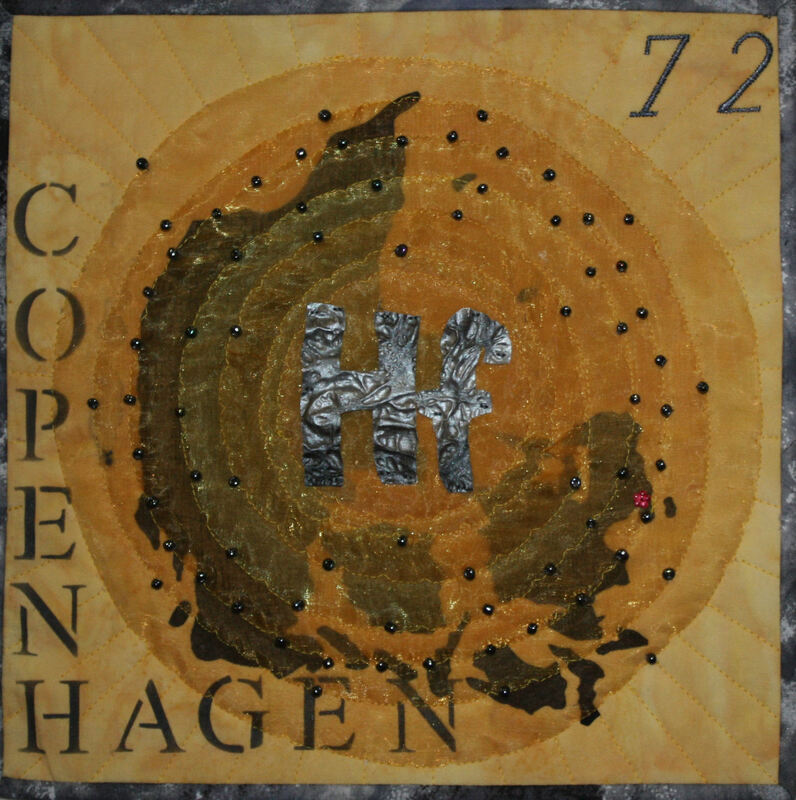 Hafnium, atomic number 72, was discovered in 1923 by Dirk Coster and Georg C. von Hevesy. It was named for the Latin name for Copenhagen where is was discovered: Hafnia. It is a lustrous, silvery ductile metal, one of the transition metals on the periodic table. Low abundance and difficult separation technique make it scarce. Most is used in production of control rods for nuclear reactors.